Hello Watchers and Critters alike! Yesterday we announced Obsidian's partnership with Critical Role for Pillars of Eternity II: Deadfire. 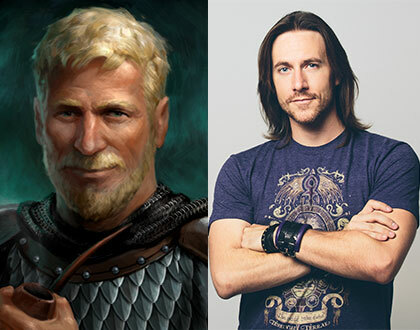 Fans of both series have been trying to create parties with Vox Machina characters since the release of the original Pillars of Eternity... so we're excited to announce that now you can do it with their voices, too! 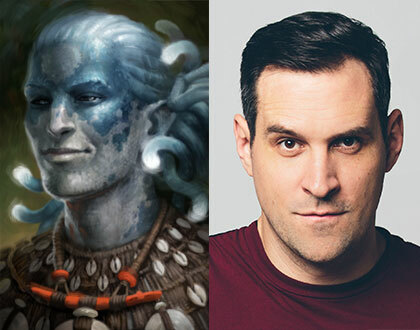 But that's not all the cast of Critical Role is doing in Deadfire. 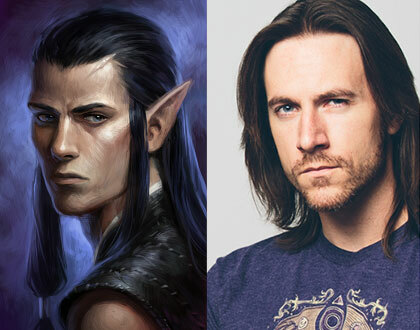 Along with the return of Matthew Mercer, all the cast members will be voicing major characters in Pillars II. Today we're very happy to share who the cast will be voicing and tell you a bit about those characters. Enjoy! Edér - A farmer and veteran of the Saint's War, Edér fought alongside the Watcher in the Dyrwood and now accompanies his old ally to the Deadfire Archipelago. His easygoing manner and dry wit belie a strong sense of responsibility and commitment. Eothas' return into the world raises questions for Edér about the god he once worshipped and later fought against. If he can help restore the Watcher's soul, then just maybe he can get some answers of his own, too. Aloth - Aloth is a wizard from Aedyr and an old ally from the Watcher's journeys in the Dyrwood. Meticulous, thoughtful, and pragmatic, his experiences in the years since meeting the Watcher have shaped him. They've also brought him to the Deadfire on a mission of his own. With the Watcher's help, he hopes to uncover the truth behind one of the oldest and most secretive organizations in Eora. 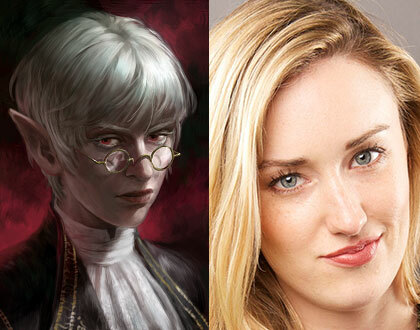 Maia is an elite sharpshooter serving a tour of duty for the Royal Deadfire Company. With the help of her bird of prey companion, Ishiza, Maia can scout environments both in and out of combat. Reassigned from her mission and sent to assist the Watcher, she and Ishiza are grateful for the chance to sail the treacherous waters of the Deadfire for some adventure and target practice. As a shiphunter of the Príncipi sen Patrena, Serafen uses his psychic abilities to guide pirates to merchant vessels ripe for plunder. Serafen's captain offers the furry blue pirate's expertise to the Watcher, and Serafen brings with him his unique perspective on the politics and cultures of the Deadfire - as well as a long history of wronged rivals, lovers, and adversaries. A self-proclaimed expert in all things involving his tongue, Serafen's bawdy humor, felonious tendencies, and strained relationship with the truth don't always endear him to his fellow travelers. Tekēhu is a marine godlike and accomplished watershaper. While others would harness his talents to intimidate enemy ships and enrich Huana culture, Tekēhu wishes to spearhead an artistic revival and bring change on his own terms. His people have a very rigid idea what it means to be born of a god, so he delights in paddling against the current and defying the wishes of those who seek to control him. Xoti is a half meadow, half savannah folk priestess who believes it is her divine duty to shepherd lost souls through the Beyond. As a worshipper of Gaun, the aspect of Eothas associated with harvests and the death side of the cycle of rebirth, Xoti wields a sickle and a lantern in order to reap souls for her god. When she was a young girl, she was one of thousands of Readcerans who came to Deadfire fleeing the devastation that followed the vorlas blight and the Saint's War. Her family, like many others, established themselves as farmers, and it was then that Xoti claims Gaun began to speak to her through prophetic nightmares. Xoti is eager to chase down the manifestation of her god so that she might better understand and aid his mission on Eora. Rekke is the sole survivor of a shipwreck. When the Watcher finds him, he speaks a language none among the party have ever heard before - not that it stops him from speaking his mind. In the Watcher's company, he quickly proves himself to be a capable fighter and easy-going traveling companion. The youngest member of the party, he amuses himself by playing pranks on his newly found friends. 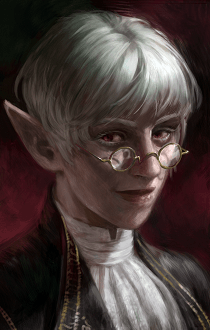 An expert in the metaphysics of Eora and a skilled practitioner of animancy - the wildly controversial science of the soul - Ydwin holds as deep an interest in the Watcher's abilities as in the living god wading across the Deadfire. Analytical, courteous, and possessed of a rapier wit, she seems the ideal compatriot - assuming you don't object to her dangerous avenues of scientific inquiry. Eothas is the god of light, redemption, and rebirth. A generation ago, he manifested his power in a farmer named Waidwen to lead what became known as The Saint's War. After the armies of the Dyrwood destroyed St. Waidwen, Eothas disappeared from Eora. He was not heard from again until he restored and animated the statue beneath the castle of Caed Nua. Destroying the castle, drawing the souls out of its residents, and leaving the Watcher of Caed Nua for dead, Eothas then marched into the ocean and made his way for the Deadfire Archipelago. His motives are unknown. You can pre-order Pillars of Eternity II: Deadfire through Critical Role via our publisher, Versus Evil. We will be updating that page up until launch so we can highlight the characters, the cast, and more! Bring i n the samples!!! Wouldn't it be cool if this meant that Rekke and Ydwin were upgraded to full companions? Xoti's definitely did (I liked the old face better, but they seem to have fixed her hood), and I think so did Ydwin's. The youngest member of the party, he amuses himself by playing pranks on his newly found friends. That's how you act when you find yourself in a foreign land where nobody speaks your language! 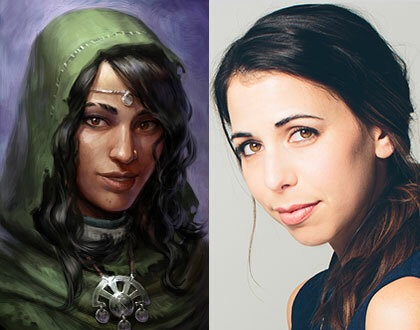 I'm kinda worried about Xoti now, I don't think there ever was a single Laura Bailey's character that I liked. Her voice is fine, but their personalities somehow always annoyed me to no end. Hope this time will be different. Edited by Yria, 11 April 2018 - 01:30 PM. 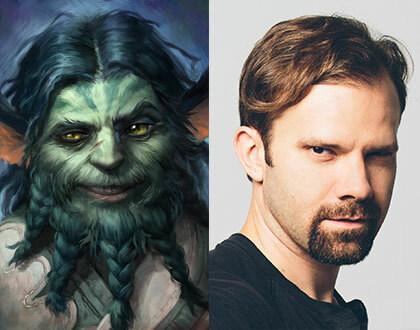 Are they making the portraits better resemble their voice actors? Edited by Baltic, 11 April 2018 - 01:50 PM. We need an option to have the game play a clip of Matt saying "How do you want do do this?" when you land the final blow in a major encounter. Yeah. 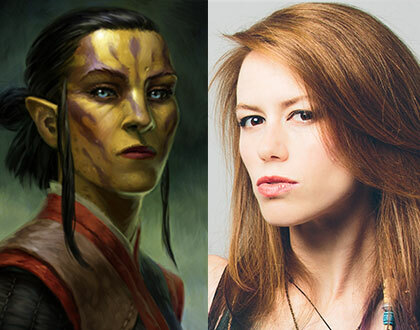 Xoti, Aloth and Ydwin look different than before. :3 Maybe others as well but with less visible changes. i don't know if it's my own dirty mind but reading tekehu's description i can't help but notice:"...harness...spearhead...rigid...delights in paddling...control". I'm pretty excited about everyone exсept Maya (I'm sorry Marisha). Edited by Del-Vey, 11 April 2018 - 02:24 PM. 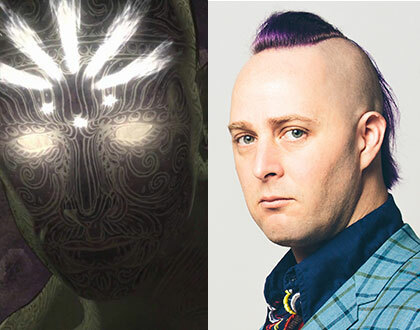 I'm not surprised one bit that Taliesin voices a frickin' god. Art imitates life, right? 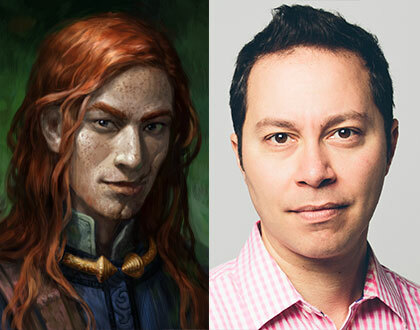 Big improvement on Ydwin's portrait.